So it seems we find ourselves coming upon the dead of winter-the holidays are over and spring seems light years away. You may recall in August we posted a piece entitled “Hot Summer Days and Medications: A Recipe for Heat Stroke” So we decided to do a companion piece dealing with cold weather injuries which are hypothermia and frostbite. No, this is not just another story about what to do when your child on a dare licks a metal lamp post on a very cold day. Extreme cold must be taken very seriously. The classic case of someone at high risk for hypothermia is a malnourished and intoxicated homeless person wearing inadequate outerwear, found outside on a day which is freezing cold with a howling wind. But things don’t have to be as bad as this for you or your family to suffer a cold related injury during the long dreary Illinois winter. Hypothermia is defined as a drop in body temperature below 95F° (35°C). Our normal body temperature is 98.6 F° (37°C). 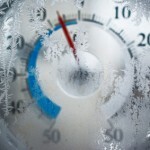 Hypothermia is further classified as mild, moderate, severe, and profound. The CDC estimates there are approximately 700 hypothermia related deaths in the United States each year. The following table describes the core body temperatures and associated symptoms of hypothermia. Causes heat loss due to dilation of skin blood vessels. Impairs judgment, impairs shivering. Impairs perception of cold. Impairs shivering. Impairs shivering and cold perception. If you encounter a someone who is suspected of experiencing only very mild symptoms of hypothermia, move him/her into a warm environment as soon as possible and cover him/her with warm blankets. You may give the patient warm (not scalding hot) liquids to drink. But you should NOT give alcohol, or place the patient in a hot shower or bath (he/she may go into shock). Those you suspect of having more serious symptoms should be transported to an emergency department immediately for more extensive re-warming and initiation of other medical procedures. Frostbite may be defined as the local freezing of tissues when the temperature of the exposed area drops below the freezing point of intact skin (<32°F; <0°C). Body parts most prone to frostbite are fingertips, toes, ear lobes, cheeks, and the tip of the nose. Frostbite may lead to permanent impairment or loss of the affected body part. Frostbite symptoms include numbness, loss of sensation to touch, tingling, throbbing, or burning sensation. Over time, the pain may decrease, but the injury may worsen. Initially, the skin may blanch, and then may appear red, and finally whitish-purple if freezing continues. According to patients, the affected area may “feel wooden” and have a wooden texture. Risk factors and predisposing factors for frostbite are similar to those for hypothermia described above. Another drug-related culprit you may not readily think of is nicotine (tobacco and smoking cessation products) which can cause constriction of blood vessels in your skin if you use these products. If you suspect frostbite, warm the affected area slowly. You may accomplish this by wrapping the area in blankets or wrappings. If no warm wrappings are available, place the frostbitten hands under your armpits or use your body to cover the affected area. If you suspect frostbite injury, seek medical attention immediately. Limit your outdoor activity during very cold weather. Stay indoors, and if necessary, move to a warming center operated by a social services agency. Wear multiple layers of warm, loose fitting clothing. Cover all your exposed skin by wearing warm gloves, a scarf, and a hat. Keep in mind that a significant amount of your body heat is lost through the head. 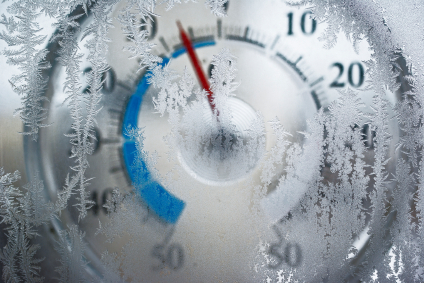 Since elderly patients may become hypothermic slowly at indoor temperatures below 65°F, family members should arrange to have the thermostats set above this level. Don’t be a miser with the heat and risk a loved one becoming ill.
Avoid drinking alcohol before you go outdoors. Maintain a good healthy diet. All of us at the Illinois Poison Center wish you a very safe and healthy New Year!